When Hasselblad unveiled the X1D-50c mirrorless camera last year, it wasn’t just a radical new direction for the storied camera company. For the entire medium-format sector, it represented a departure away from large and complex cameras, in favor of streamlined, portable devices. It may be the most significant move toward modernization that the format has taken since the first digital backs, but it stays true to Hasselblad’s heart and soul of fine craftsmanship and excellent image quality. This isn’t to imply that standard digital medium-format cameras are going away — far from it, as you’ll read in our Hasselblad X1D-50c review — but users of such cameras now have an option that’s easier to take with them on location, and both portrait and landscape photographers have reason to be excited about it. The X1D has understandably generated a lot of hype (it’s the first of its kind, after all), building interest that goes far beyond the relatively narrow audience of established medium-format shooters. However, while it does appear to democratize the format to some degree, it remains a far cry from a medium-format camera for the masses. As a modest, but proud engraving states on the top of the camera, the X1D is handmade in Sweden. After seeing it in photos, we knew it looked stunning but weren’t sure how comfortable it would be in actual use. Our previous experience with medium-format cameras had left us with the impression that such machines are best used atop sturdy tripods. However, after spending some time with the X1D, we completely fell in love with the design. The grip feels excellent, and even though the camera is fairly large (compared to smaller-format mirrorless models) it is still quite easy to hold in one hand – nothing like the enormous, mirror-based medium-format models. Beneath the H logo on the side of the camera you’ll find dual SD memory card slots. There’s also a unique battery that locks in place without a battery door. A switch on the bottom of the camera partially releases the battery and you give it a gentle push to unlock it and remove it the rest of the way. A rubber gasket encircling the battery itself allows the camera to be environmentally sealed despite the lack of a battery door. Hasselblad told us this was done to improve overall durability, as there’s no plastic door that can break off. We kind of think they did it just to be cool, but either way, we’ll take it. The body also has a perfectly balanced weight when paired with one of the prime lenses (we tested the 45mm f/3.5 and 90mm f/3.2). This is still a fairly heavy camera, but every ounce of weight feels intentional. Hasselblad clearly put significant care into making the X1D feel good to use handheld, something that has not always been a priority for other medium-format cameras. The 3-inch touchscreen LCD looks good, and the user interface is clear and simple. The camera is surprisingly easy to use thanks to that touchscreen, although the minimalistic control layout did leave us wishing for a few more physical buttons. In particular, a focus point selector would have been very welcome. (After our review, Hasselblad released a firmware update that added touch pad AF functionality, which lets you drag your finger on the screen while looking through the viewfinder to move the focus point.) There are also some design oddities in the interface; there is no immediate way, for example, to understand what the buttons to the side of screen do without pressing them to find out. From a usability standpoint, it’s a bit of a mixed bag. The compact size and easy-to-use touchscreen make this one of the most approachable medium-format cameras out there, but it’s hampered by a slow startup speed and an autofocus system that relies on slow (but accurate) contrast detection. With plenty of light, the focus speed is at least decent — it’s just not up to par with what we’ve come to expect from modern mirrorless cameras. Fortunately, focusing manually is great, with multiple focus peaking colors to help you out, and a quick double-tap on the screen will magnify the image to help you dial-in critical focus. Our initial impressions with using the AF system were reserved, as we couldn’t resize them, making it difficult to dial in pinpoint accuracy. 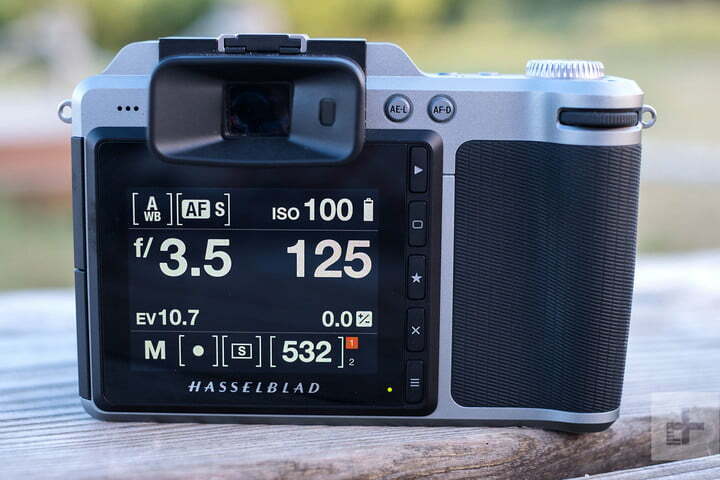 However, after our review, on August 23, Hasselblad released a firmware update that enabled AF point resizing. You can now select point sizes of 4mm, 2.8mm, or 2mm. Each selection has a corresponding change in the total number of available points, as well: 35 at 4mm, 63 at 2.8mm, and 117 at 2mm. While Hasselblad isn’t advertising any increase in focus speed, at least the number and accuracy of focus points is now much closer to other mirrorless cameras. We also really liked how big the electronic viewfinder is, but it suffers from a slow refresh rate. This probably won’t be a huge issue as this isn’t a camera that people will be using to shoot high-speed action, but it’s still an area with room for improvement. There were also some occasional bugs, such as the ISO display “over-animating” as if it were shuffling through multiple stops when we only turned the wheel one click. Overall, these issues were minor and intermittent, but were enough to pull us out of the shooting experience when they occurred. Using the Hasselblad Phocus Mobile app (currently iOS-only), it’s also possible to control the X1D from an iPhone or iPad. This works either through a computer with a tethered camera, or to the X1D directly via its built-in Wi-Fi. Some aspects of the interface don’t make for the most refined user experience, but it worked well in our testing and performance was snappy (no pun intended). You can control virtually every aspect of the camera (even focus manually) and review, rate, and share photos from the app. On the inside, the Hasselblad X1D-50c uses the same 51-megapixel sensor as the H6D-50c. This isn’t surprising — virtually every camera company tries to use the same sensor across multiple models — but while the H6D starts at a staggering $25,995, the X1D is just $8,995 (body only). It’s worth mentioning that this same sensor, or a version of it, is also used by other manufacturers in even more affordable cameras, like the Pentax 645z ($7,000) and Fujifilm GFX-50s ($6,500). While the pixel count alone isn’t uncontested by smaller-format cameras (the Canon EOS 5DSR also boasts a 50MP sensors), the X1D’s sensor is 70-percent larger than full-frame (and a bit smaller than traditional medium-format). That extra surface area means each pixel is larger, helping to gather more light and improve resolution, high ISO performance, and dynamic range. 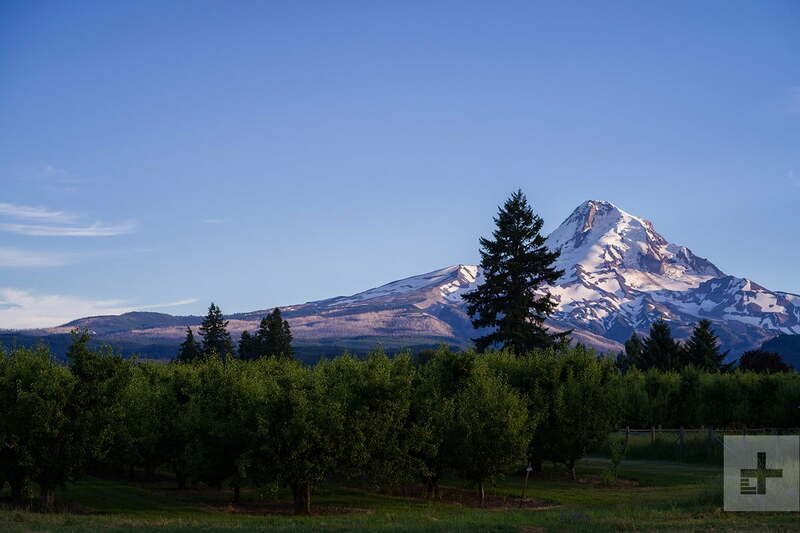 In fact, Hasselblad claims 14 stops of dynamic range in total, making this a great sensor for landscape work. The mechanical shutter speed limitation may look like bad news for anyone coming from the APS-C or full-frame world, but 1/2,000 of a second is actually quite good by medium-format standards. That’s because, traditionally, medium-format cameras have all used leaf shutters, and the X1D is no different. A leaf shutter is built into the lens, as opposed to the in-body focal plane shutters used in smaller-format DSLRs and mirrorless cameras. While focal plane shutters can be faster, usually topping out at 1/4,000 or 1/8,000 of a second, leaf shutters offer one unique advantage: they can sync with a flash at any shutter speed. Focal plane shutters, by contrast, can only sync up to 1/200 or 1/250 of a second, as at any speed faster than that they don’t expose the full sensor at the same moment. The leaf shutter is also a key differentiator between the Hasselblad X1D and its closest competitor, the Fujifilm GFX, and for some users that alone may be worth the difference in price. A leaf shutter is particularly useful for location portrait photography, as you can balance the sun with a flash while leaving your aperture wide open for a shallow depth of field. With a focal plane shutter, you couldn’t do this without using a high-speed-sync flash or putting a neutral density (ND) filter on your lens, which then requires a more powerful flash and will likely slow down your autofocus. While not initially available, the X1D can now get beyond the shutter speed limitation, however. In the same firmware update that expanded autofocus control, Hasselblad also introduced an electronic shutter with a maximum shutter speed of 1/10,000 of a second. It can also stay open a bit longer, for a total exposure time of 68 minutes for ultra-long exposures (the mechanical shutter is limited to 60 minutes). Electronic shutters have the added benefit of being completely silent. This brings the X1D in line with Fujifilm and Phase One, both of which offer electronic shutters on the GFX-50s and XF IQ3 100, respectively, the only other medium-format cameras to do so. As with any electronic shutter, Hasselblad warns that images will be subject to the distorting effects of rolling shutter, as the sensor reads out one line of pixels at a time. This can render vertical lines as diagonals if the subject or the camera is moving too quickly. So while the camera can now hit a fast shutter speed, it won’t be useful for shooting fast-moving subjects in most instances. If you plan to use the electronic shutter, Hasselblad recommends putting the camera on a tripod and shooting stationary subjects. The other potential benefit of the electronic shutter is that it could open up the X1D to all sorts of legacy lenses. It wouldn’t be able to toggle the leaf shutters on such lenses, but thanks to the electronic shutter, it wouldn’t have to. Only older lenses with physical aperture controls would work, and this will likely depend on third-party adapters, but such products would not be difficult to manufacture as they could be simple “dumb” adapters without electronics. As a high-end mirrorless camera, people are naturally drawing comparisons between the Hasselblad X1D and Sony’s line of full-frame mirrorless models, namely the 42MP A7R Mark II. Sony did a fantastic job of democratizing 35mm sensors with its A7 series, but the X1D is not attempting to do quite the same thing. The price remains an issue: $9,000 might be “cheap” for medium-format, but you could buy three A7R Mark IIs for that — and the A7R Mark II is no slouch. It’s an impressive still camera and a very capable 4K video camera rolled into one, with image quality that more-or-less rivals that of the X1D on every metric. The X1D, therefore, is not the medium-format camera for the rest of us. It is still a medium-format camera for, well, medium-format photographers, those who have worked with leaf shutters, large RAW files, and similar frame sizes. It makes the most sense to existing Hasselblad H-system owners, who can adapt all of their existing lenses to the X1D. It is also a compelling choice for users of older Hasselblad systems who are looking to upgrade. In this case, they can potentially save thousands of dollars by going with the X1D over, say, an H6D. But the X1D is unlikely to woo any full-frame shooters. It lacks the performance of modern mirrorless and DSLR cameras from the likes of Sony, Canon, and Nikon. Furthermore, the image quality difference simply won’t be appreciated by most. In general, people think of three things with regard to larger sensors: higher resolution, better low-light performance, and more depth-of-field control (meaning, a larger sensor can achieve a shallower depth of field at the same field-of-view and aperture). However, all of these things also depend on the lens that is in front of the sensor, and in the cases of low-light capability and depth of field, these depend on the maximum aperture of a lens. Of the four native XCD lenses that Hasselblad announced for the X1D, none has an aperture faster than f/3.2. That is roughly equivalent to f/2.5 on a full-frame camera, but faster lenses are readily available for full-frame. If you mount, say, an f/1.4 lens on a Sony A7R Mark II, you will get better low-light performance and a shallower depth of field than what you can get on the X1D with a native lens. And that certainly isn’t difficult to do if your budget is $9,000. That doesn’t mean the X1D is without benefits, but those benefits will be most appreciated by current medium-format shooters. Users of full-frame cameras looking for a dramatic jump in image quality or performance need not apply; the price difference just isn’t worth it. Fortunately, in the time since this review was published, Hasselblad has continued to add features to the X1D that have made it more competitive, like the electronic shutter detailed in the previous section. It has also gained an intervalometer function for shooting time-lapse sequences, exposure bracketing, and the ability to set a shutter speed limit when using automatic ISO, program, or full auto modes. All of these refinements help bring the X1D up to speed, but its advantages over full-frame remain sparse. Hasselblad rightly assumes that medium-format shooters are in it for image quality above all else, and thus all but forces users to shoot in RAW. While in-camera JPEG shooting is an option, the JPEGs are not full resolution and are meant to be used simply as previews. The RAW files, however, are beastly. At 16 bits, they weigh in at 110 megabytes and are loaded with latitude and detail. In our experience, images were perhaps a tad too neutral for our tastes right out of the camera, and auto white balance often skewed toward the cool side. This only really affects how you see photos on the camera’s LCD, however. Nobody shooting with an X1D is going to put anything out for public consumption until it has been processed. In both Hasselblad’s Phocus RAW processor and Adobe Lightroom, we found the files to be very malleable. The broad dynamic range made it easy to recover detail from highlights and shadows, but it’s hard to say whether it was significantly better than the best full-frame cameras. High ISO noise levels are also excellent. The X1D is in league with the best full-frame sensors out there, despite having more resolution than most. Historically, digital medium-format cameras haven’t been great high ISO performers, but the move to CMOS sensors seems to have changed that. We shot as high as ISO 6,400 with very usable results, but if you don’t need the full 50 megapixels, you should be able to push well beyond that and still come out with clean images at reduced sizes. Interestingly, Hasselblad limits the maximum ISO to 25,600, but Pentax was far less modest with its specs on the 645z, proclaiming a maximum ISO of 204,800 for the same sensor. The Fujifilm GFX 50s comes in a stop lower at 102,400. Of course, noise is determined by other factors than the sensor alone — such as the processor — but high ISO ratings are also often little more than a marketing stunt. Hasselblad seems to be more reserved than Pentax and Fujifilm in this regard. (The older Hasselblad H5D-50c, also built on the same sensor, had a top ISO of just 6,400). If you’re coming from the full-frame world, don’t let the X1D’s relatively low ISO limit fool you: While it might not be as insanely high as the Nikon D5 — which maxes out at ISO three million — real-world noise performance is neck-and-neck at equivalent ISO settings, especially once you normalize the 50MP Hasselblad files down to match those from the 20MP Nikon. As good as the sensor is, actual low-light performance is limited by the relatively slow XCD lenses. As we mentioned earlier, you can find a more effective total package for low-light photography with a full-frame setup. Furthermore, the X1D’s contrast-detection autofocus won’t do you any favors in dimly lit scenes. As for the lenses, both the 45mm and the 90mm were sharp under the right conditions, but we nailed more shots with 45mm, likely because it is just easier to handhold a wide angle. If you’re concerned about critical focus, shooting handheld with a 50MP sensor isn’t exactly a recipe for success; move just a little bit after locking focus, and you might find your subject now falls outside the depth of field. Motion blur is another problem. Since the X1D seems geared toward handheld shooting, this is likely an issue many photographers will encounter. As always, use a tripod when you can; and when you can’t, well, take lots of pictures. One last thing we should mention is that the X1D does not contain a self-cleaning sensor, so dust spots are common. Have a bulb blower and some sensor swabs handy, as keeping dust off that huge sensor when changing lenses is just about impossible. The Hasselblad X1D is covered for a period of one year or 100,000 exposures, whichever comes first. XCD lenses are also covered for one year. 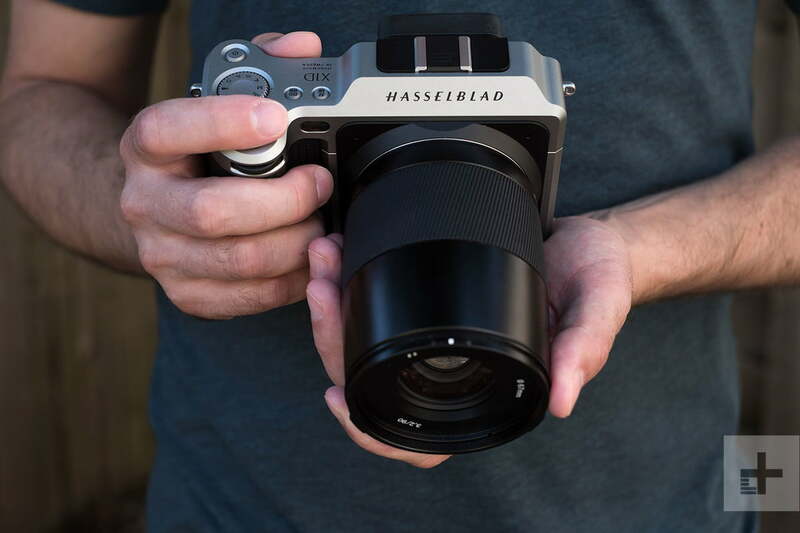 The Hasselblad X1D represents a new direction for the company, and while some aspects of the camera leave room for improvement, it is nevertheless an impressive machine. It does a commendable job of combining medium-format image quality and leaf shutter flexibility in a portable (and relatively affordable) package. It would make a great second camera for a high-end studio photographer, or a good first medium-format camera for someone who has been waiting for the right time to jump into the game. We also appreciate that Hasselblad continues to keep the camera current with firmware updates, improving performance and adding features over time. We do lament the lack of faster lenses (which would take more advantage of the large sensor), but we can hope wider apertures will come down the road. Also, now that it has electronic shutter capability, hopefully it won’t be long before we see adapters for legacy lenses from various manufacturers. Despite the recent firmware additions, the X1D is still priced too high to draw full-frame shooters away from Canon, Nikon, and Sony, but it may prevent some medium-format shooters from dropping down to full-frame. It is an important product for the high-end photography world; medium-format photographers simply haven’t had a camera like this before, and we expect many will be pleased with it. This depends entirely on the type of photographer you are. For medium-format shooters — particularly users of Hasselblad’s H-system who can adapt their existing lenses — the Hasselblad X1D represents a compelling alternative to bulky and cumbersome cameras. It is considerably less expensive while still offering a familiar user experience and equivalent image quality. If you don’t need a leaf shutter, however, the Fujifilm GFX 50s offers the same sensor for even less money, although it is both bigger and heavier than the Hasselblad. When it comes to the average enthusiast or professional photographer, it simply makes more sense to stick with full-frame. The best full-frame sensors out there produce image quality that is but a smidgeon behind the X1D, and they do it for a fraction of the cost. What’s more, the X1D’s operational speed simply isn’t up to par with other modern mirrorless cameras (or DSLRs, for that matter). The Sony A7R Mark II is a stellar performer at around $3,000, and any image quality difference between it and the X1D would be negligible to all but the most discerning photographers. It’s handmade in Sweden; what more do you want? Seriously, though, this camera is a stunning example of high-end craftsmanship. We expect it will last a very long time, although it would have been nice to see a longer warranty period given the price. Most of us shouldn’t. Our $9,000 is likely better spent on a full-frame mirrorless system that includes a few lenses. However, if you or your business is in need of the best possible image quality you can get in a portable form factor, then sure, go for it. The Hasselblad X1D is a capable machine in the right hands, and if you’ve made it this far in our review, then those hands might just be yours.